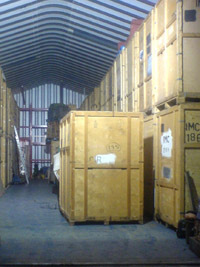 www.storageandremovalsguide.co.uk provide an amazing range of companies who provide storage in Cornwall. The guide only list honest and trustworthy storage companies, meaning you can keep your valuable items safe when they are not being used or as you move into a new property, ideal for both commercial and domestic customers. To keep your belongings or assets safe most storage companies will operate using security systems, such as CCTV. In addition to helping you find locally based Cornwall storage companies the guide can also help you find a range of other services that you may need, including removals, man and van services, and packing services. Your small business can reap great benefits by using a self-storage facility. Instead of storing your old stock or even office records where they will be getting in the way, use a storage facility where you will retain access but gain valuable space at your shop or office. For local businesses, a storage facility is convenient for small business owners, as it can save a lot of time and money. There is no need to use your own space, either in your office, shop or even home. Payment terms can be set up monthly. This means that you do not have to worry about bulky yearly expenses. Discounts may be available depending on your intended usage. You will be able to save a lot of money whether it is short-term or long-term making it more cost-effective than needing extra room in your business location. By storing bulky items inside a storage unit, the space you saved in your place of business can be used to generate more income. Small business owners do not need to worry about setting up expensive security systems over store rooms at their business with a self-storage facility. We have it all taken care of. 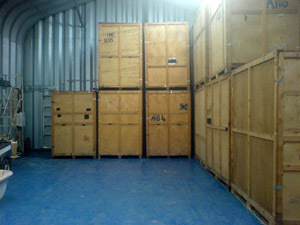 We can assure you that any valuable stocks, documents and other items are stored in a safe place. By renting space in a self-storage facility, it gives a business the flexibility to expand or reduce the space they use as needed. If you will need access to your possessions, choose a storage company whose warehouse is not too far away from your home. Prices between storage companies can vary considerably, so arrange to receive more than one quote. If you are not sure how much space you need, the storage company should be able to advise you on this. If you are opting for self-storage, find out when you will be able to access your storage area and whether there are charges for this. If you choose containerised storage, ensure that an inventory of your goods is drawn up and signed by the storage company. To find the right removals and storage company for your needs simply view the list of companies The Bradleys Homeguide offer on this page. Industry insight from the experts. To guarantee the storage company you pick are trustworthy, ask if they are members of the UK Self Storage Association. The Association lays down strict operating guidelines and you can rest assured that any member will have all the necessary safety, security and fire prevention measures in place. Make sure your storage company do not charge for any hidden extras such as registration fees or release fees. It may be wise to shop around your local storage operators but make sure you check whether prices include VAT and be careful not to compare rates per calendar month with those for four week periods because the latter covers fewer days. Make sure you are not penalised for accessing your own goods. Choose a company that offers unrestricted 24/7 access to be on the safe side. Make sure you are not tied in to any long term contract. Ask the operator whether they have any special offers on at present. Typical offers include a discount off your 1st month's storage. Why not ask to have a look around first before you choose. Check the security measures in place, ask to see a range of unit sizes and generally check that you are happy for your prized possessions to be stored at that centre. 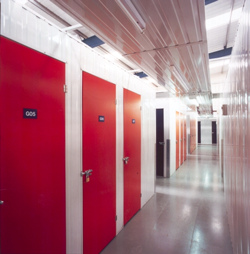 For more information on the storage services available from Crown Self Storage please contact us on 01726 890880. 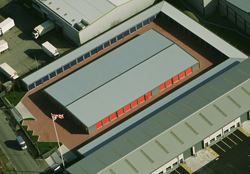 Cornwall Self Storage Specialists give some great tips to consider when choosing the right storage solution for you. Make a list of everything you intend to store. Note which items can be taken apart for easier transport and reduced storage costs. Keep all your essential items (keys, mobile, wallet, and medication) in easy to find places. Start packing any non-essential items such as extra clothes, paintings and ornaments early. Lofts and garages are good places to find items to get started on. Don't wrap precious items in newspaper as the print can rub off. Stacked plates can be heavy and the bottom ones can break; instead, wrap them in paper and pack them on their ends. Glass panes (including pictures and mirrors) should be stacked upright. Label all boxes clearly with the contents and room they belong in to help when retrieving goods from your unit and unpacking. Avoid unpleasant retrievals by cleaning your garden equipment before you store it, and drain petrol where relevant to make sure things start properly. Store large and heavy items at the bottom. Use the space in chests of drawers and wardrobes to store boxes and paper work, reducing storage costs. If you are going to need access to certain items throughout your storage period, keep them near the door. Protect furniture with dust sheets and wrap table and chair legs to avoid scratching. Remove batteries from electrical items. Store heavy items in smaller boxes to make for easy lifting. Store china and breakables in stronger cardboard and plastic boxes packed with bubble wrap or tissue paper. Clean all garden furniture before storing and make sure that your lawnmower is drained of petrol. Cornwall Storage Caravans, Boats,Cars, Furniture. Cornwall Caravan Tourer Storage Tips. So the summer touring done and its time to say goodnight to your friend for the duration. Storing your van correctly is a must especially in our harsh winter conditions, do it right and your Easter start-up will be fine, Get it wrong and you are in for a torrid start to what should be a perfect start to the years touring. Hopefully I can give you some hints and tips that will prevent New Year disasters. 4.Electrics: It's of no use just disconnecting the wiring relay and letting it hang there during the winter months, you're asking for trouble. Simply spray the unit in a good preservative and then seal with a plastic bag by wrapping or tying the end, this should stop any rust forming and short circuits, but do give it another spray and check the contacts on a free day. 5.Coverage: My own experiences have taught me NOT TO COVER MY VAN in order to try and keep the weather out. Condensation and mould growth became abundant and the scratches were beyond belief. My best storage area was a farmer's huge lofty barn. But always remember to use a security device remembering the poor farmer may need to move your van in an emergency, so check with him before you fit them and take the keys to any locks away with you. Winter Security: Lock the coupling head into a cover with a hitch lock if possible, if your van is not on stands for the winter consider using lock nuts on the caravan wheels. If you can, use wheel clamps - everyone knows how well they can keep a vehicle stationary! Gas cylinders are always an inviting target to a thief. and keep gas compartments locked on newer models. Fit an alarm. You can get one from any DIY store. Fit a time switch. If you're out after dark, lights on in your caravan will make it look occupied and can deter opportunist thieves. Remember: your caravan is even more vulnerable when not in use or at home. Caravans left on sites even over winter, for example, are targets for thieves. If you are choosing a storage site don't just look at the price. Check to see that it offers good security. If you are a member of the Caravan Club, your touring caravan will automatically be logged on the club's security register. This enables the club to liaise with the police and dealers rapidly should a theft occur. It also helps to authenticate ownership if your caravan is stolen then recovered.